ORLANDO – Not long after 7-foot center Mo Bamba was selected sixth overall in last June’s NBA Draft by the Orlando Magic, one of the first people to reach out to him and offer advice was Dwight Howard. While that news might cause some Magic fans to shudder considering the way Howard forced his way out of Central Florida back in 2012, Bamba said that Howard couldn’t have been more helpful and positive about the Magic and Orlando. And why wouldn’t Howard have spoken glowingly about the Magic? His Magic teams reached the NBA playoffs each of his final six seasons in Orlando, he once won three consecutive Defensive Player of the Year awards and the franchise got to the 2009 NBA Finals and the 2010 Eastern Conference Finals. Since then, however, Howard has bounced around six different NBA franchises and he’s often left on rocky terms as ex-teammates have been critical of him on the way out the door. On Friday, with Howard back at the Amway Center as a member of the Washington Wizards, the former all-star spoke with a great fondness of his time in Orlando. ``We always talk about the team that we had here, how we were committed to winning, committed to making the city better and how we were trying to change the perception of the Orlando Magic,’’ said Howard, the No. 1 pick of the 2004 NBA Draft and a Magic star for eight seasons. 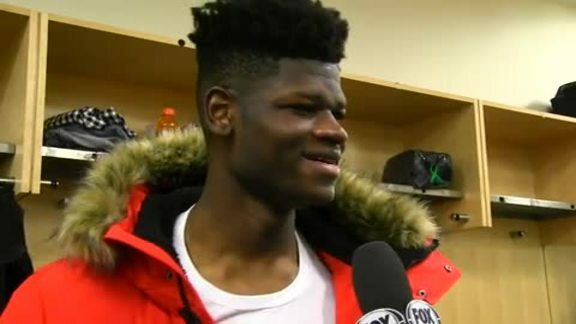 Of Bamba, Howard said, ``he’s going to be a great player for this team and this city,’’ and he advised the big man to be sure to immerse himself in Orlando because of the loyal fans in the city. Now 32 years old and clearly on the downside of his career, Howard said he is pulling for the franchise that he one left to return to prominence. SWEET LEW RETURNS: Howard wasn’t the only standout player from the Magic’s most recent glory days back at the Amway Center on Friday night. Rashard Lewis, one of the driving forces on the 2009 team that reached The Finals, was back as a guest of head coach Steve Clifford and to be honored by the Magic as part of the team’s 30th anniversary season. Prior to speaking to the Magic’s players on Friday morning, Lewis looked at the Eastern Conference banner from the 2009 season and he said it stirred plenty of emotions inside of him. Clifford said that looking back on the 2009 Magic squad that vanquished the Philadelphia 76ers, the defending champion Boston Celtics and LeBron James’ Cleveland Cavaliers, Lewis never got enough credit for the sacrifices he made for the betterment of the team. The 6-foot-10 Lewis spent the first nine years of his career before signing a lucrative free-agent contract with the Magic in 2007. One of his stipulations of signing in Orlando was that he was to remain at the small forward position. However, after Tony Battie suffered a shoulder injury prior to that season, Stan Van Gundy asked Lewis to slide to that position so that he could play alongside of Howard and Hedo Turkoglu along the front line. ``(Former Magic coach) Stan (Van Gundy) used to say, `we might be taking years off this man’s playing career’ because back then we were one of the few teams playing four (shooters)-out and he guarded Zach Randolph, Kevin Garnett and Pau Gasol,’’ Clifford remembered. ``Now, a big part of our success was that they had to guard him (on the perimeter), which they couldn’t do. Lewis led the NBA in made 3-pointers in 2007-08 (226) and 2008-09 (220), shooting 40.9 percent and 39.7 percent from beyond the arc in those two seasons. RIVERS HAS A NEW HOME, STILL LOVES ORLANDO: Whereas some in the NBA were shocked when the Clippers traded Austin Rivers – son of Los Angeles head coach Doc Rivers – to the Washington Wizards last June, the reserve point guard had a completely opposite reaction. Rivers has pointed out several times through the years that he and his father don’t have the strongest relationship because Doc has spent much of the past 30 years either playing or coaching basketball. Austin still calls Orlando home as he spent most of his formative years in Winter Park – first when Doc was coaching the Magic (1999-2003) and later while thriving as a basketball star at Winter Park High School. He said despite his playing career taking him to New Orleans, Los Angeles and Washington, D.C., Orlando will always be considered his home. UP NEXT: The Magic will get their first look at the New York Knicks and former Orlando forward Mario Hezonja when they face the Knicks at Madison Square Garden on Sunday night. 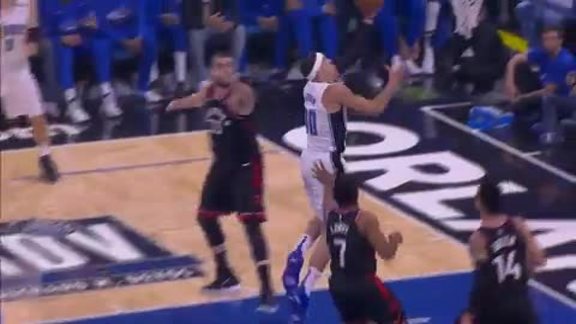 Hezonja, the No. 5 pick in 2015 by Orlando, played for the Magic for three seasons, but never lived up to expectations for a variety of reasons. Hezonja signed a one-year free-agent deal with the Knicks last July, in large part, because he knew he would struggle to get playing time in Orlando behind Aaron Gordon, Jonathan Isaac and Bamba. In 12 games this season, Hezonja has averaged 8.9 points, 3.5 rebounds and 1.2 assists while shooting 38.3 percent from the floor and 26.7 percent from 3-point range in 18.9 minutes a night.